Declining to answer additional questions at an inquiry into Libyan-backed IRA terror activities, former Prime Minister Tony Blair claims he has already given all the information he can. Writing to the head of the panel of the Northern Ireland Affairs committee, Blair refused to give oral testimony on the role played by the UK government in compensating those affected by IRA attacks which used weapons and explosives provided by Gaddafi-era Libya. Committee chair Laurence Robertson wrote to Blair in December after the ex-PM had submitted written answers to the inquiry. Robertson asked Blair to appear to answer further questions directly. Blair has now declined to attend, claiming he had imparted all the information he had to offer and that he did not think repeating what he had already said would help victims and their families. Blair has been accused in the past of trying to halt compensation claims for IRA victims because the US was, at the time, in delicate negotiations with the Gaddafi regime over those killed in the 1988 Lockerbie bombing, in which a Pan Am flight was blown up over Scotland. He denies this allegation. In his written comments to the committee, he also defended his effort to thaw relations with the late Libyan dictator Muammar Gaddafi, saying Libya had begun to dismantle its weapons of mass destruction and cooperate in the war on terror. In December, Blair was forced to deny trying to “protect” Gaddafi when he warned him to flee Libya before the country’s conflict in 2011. 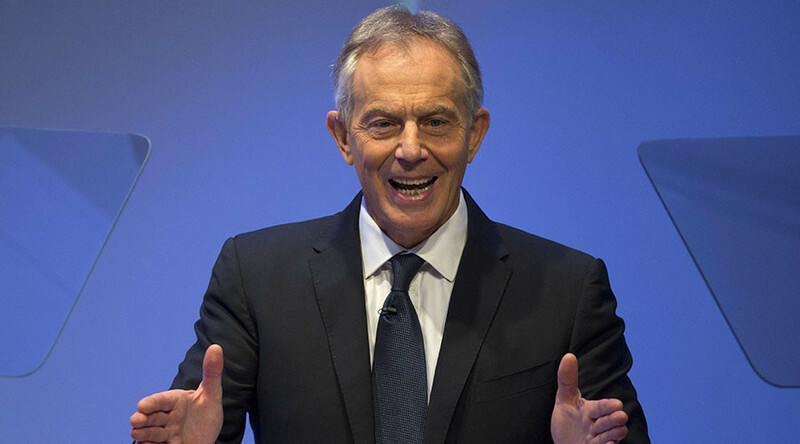 Blair admitted to having “two or three” phone conversations within 24 hours with the Libyan dictator. He warned Gaddafi to go to a “safe place” days before he was killed by his own people.